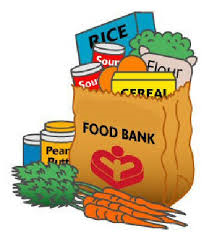 The Strettons Food Bank (SFB) is a major project of the local Churches Together, of which St. Laurence’s is a member. Those families and individuals in our locality who find themselves without the means to buy food for the week may be referred to the SFB by Church ministers, the local Mayfair Community Centre and several Shropshire Council social service departments. Where appropriate and agreed, the SFB may refer the client onwards to other agencies that may be able to help address any particular need. With the help of volunteers from four local churches the SFB operates weekly from St. Laurence’s Parish Centre.